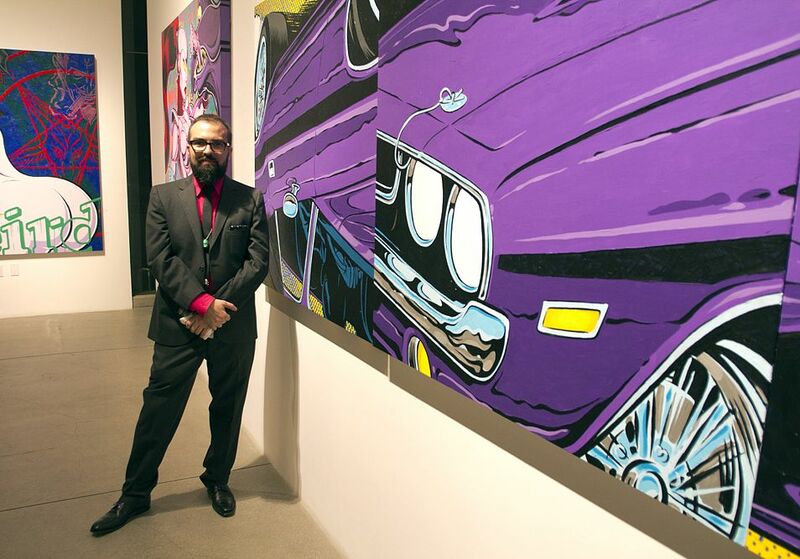 Friday evening, AM decided to duck the over-hyped oncoming threats of Los Angeles’ “Carmageddon” to check out the opening of legendary pop artist COOP’s show Idle Hands at Corey Helford Gallery. 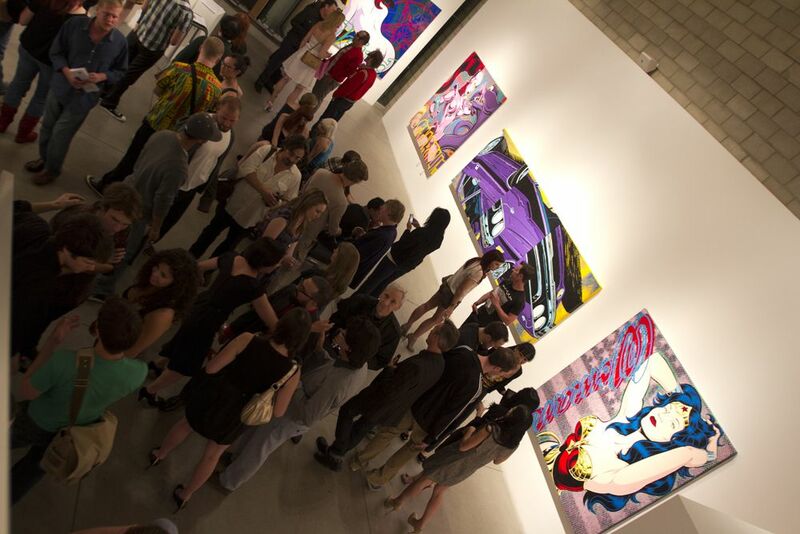 This is his first solo show since 2009, and once again he brought a series of ambitious large scale paintings as well as a few preliminary sketches and his signature ink drawings. 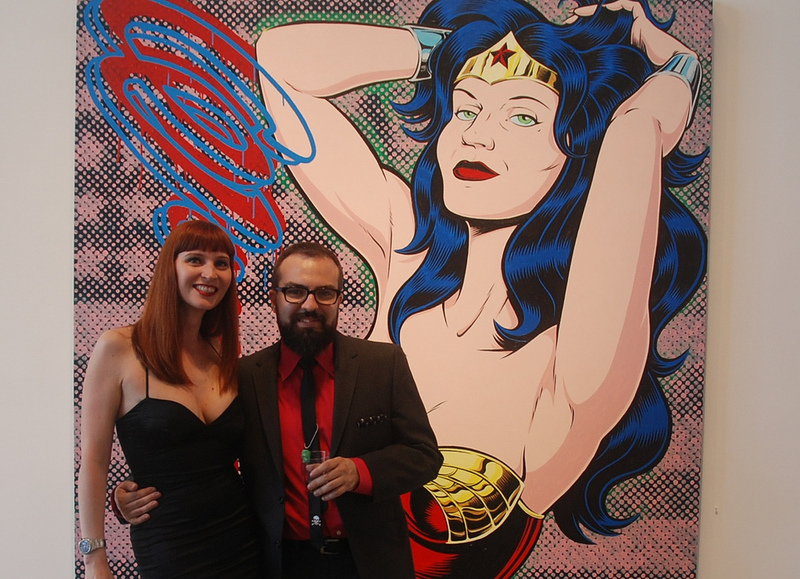 He states regarding his current show – “pulp magazines, more overt sexuality and a little more deliberate provocation are on this time around.” COOP has been working on refining and increasing the visual impact of his work, as well as giving it more text and texture. Keep watch for a future print and book release featuring work from the show. Titled photos taken by Rhinomilk, all others by Carlosgonzalez. 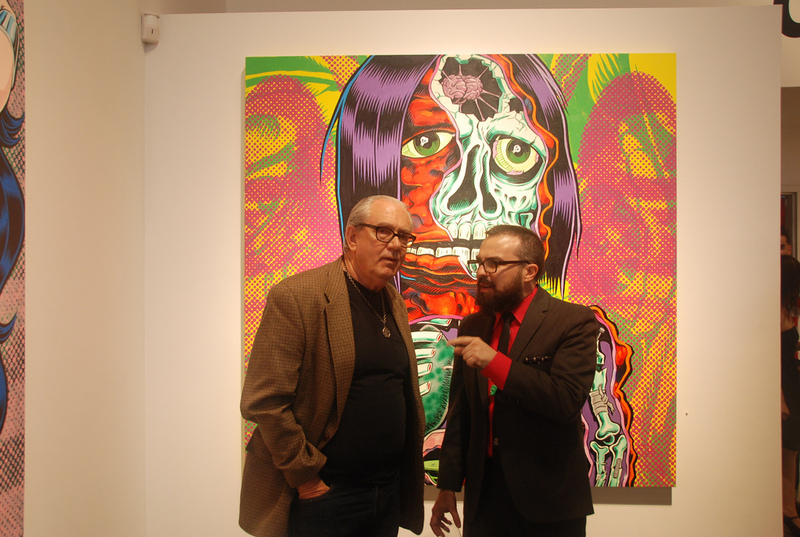 Categories: Low Brow & Pop Surrealism, Openings, Shows & Events. 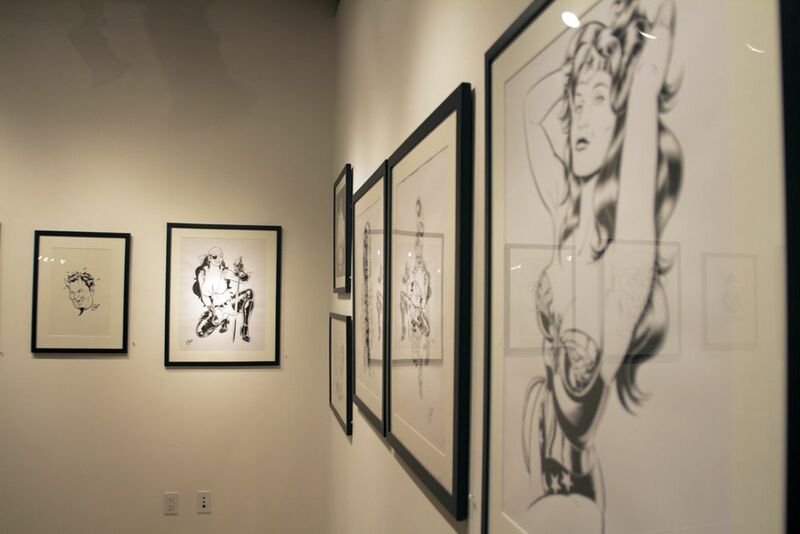 Tags: COOP, Corey Helford Gallery, Los Angeles, Low Brow & Pop Surrealism, Shows & Events.